Perfect for those additives that like to settle between dosings. Additives like amino acids, carbohydrates, liquid vitamins, and more should be mixed very well before being dosed into your aquarium. 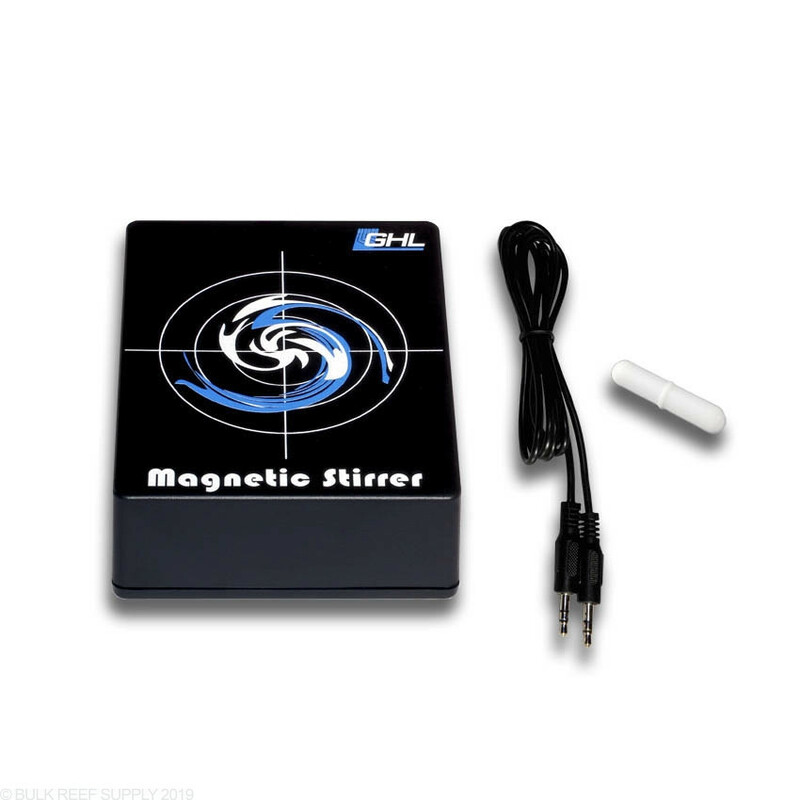 GHL's Magnetic Stirrer is the perfect device to add to your GHL 2.1 Doser. You can set it to mix liquids at any time or immediately before dosing. The included adapter can be plugged directly into any of the four ports on the 2.1 Doser making integration seamless and easy. 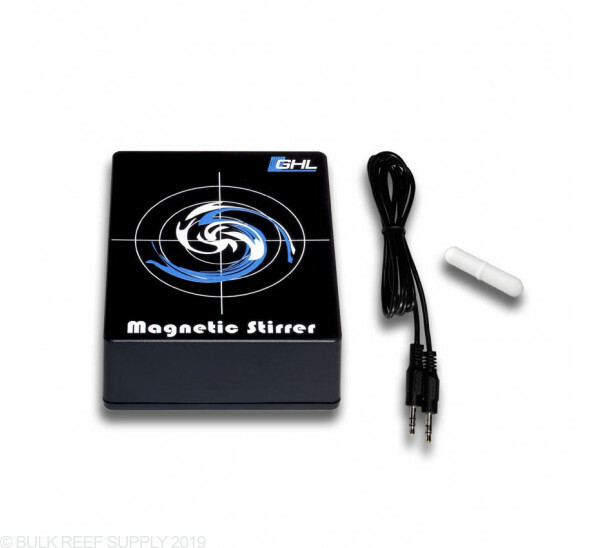 Many reefers use magnetic stirrers to automate dosing of additives that would normally need manual shaking before adding, saving you time, and keeping your reef more stable. Just drop the stir bar "pill" into your additive container that needs to be mixed, and centers it onto the stirrer base. Once powered on the stir bar will auto locate itself and start to spin. It is suggested to use a flat bottom container for the best stirring results. Containers that have concave bottoms may cause the stir bar to slide from off center and not perform properly. GHL Doser 2.1 Required for use. This stirrer plate is 4.7” L x 3.7” W x 1.6” H. Have a great day!